A New Year….A New You? Another year, another chance to start things right. Whether you are a fan of New Year’s resolutions or you veto the idea of changing your ways simply because it’s “normal”, there is no denying that 2013 feels like a fresh start. While I didn’t make a resolution per se, I did form a group with my friends called “Let’s change ourselves and then the world in 30 days“. Many studies show that in just 30 days of doing something it can become routine and habitual, which explains why we chose that time frame for our goals. It is also conveniently the length of a calendar month making it very easy to track. Month by month for the next year we’ll be choosing things to focus on in our life that could use some improvement. We’ll show accountability by posting the progress, whether we were successful or not, and potentially why we failed to achieve our goal. The group will act as moral support and encouragement for the other members. Today we’re standing strong at 62 members, while growing in numbers every day. I was particularly interested in being part of this group because I find it very difficult these days to stick to things using my own willpower. I rarely need support but when it comes to changing habits I have discovered in the past that help from others has proven to work for me…even if sometimes it turns in to a negative habit in my life. For January I decided that I want to do something everyday that makes me genuinely happy. I can’t deny that I’m guilty of putting on a happy facade from time to time, a smile ear to ear as I exude a confident and exultant individual. Fake it until you make it right? Well that can only last for so long and it’s important to actually feel it, otherwise you’ll never know what actually puts a smile on your face. When you feel authentically happy, it is obvious and will show in your personal life as well as your professional life. 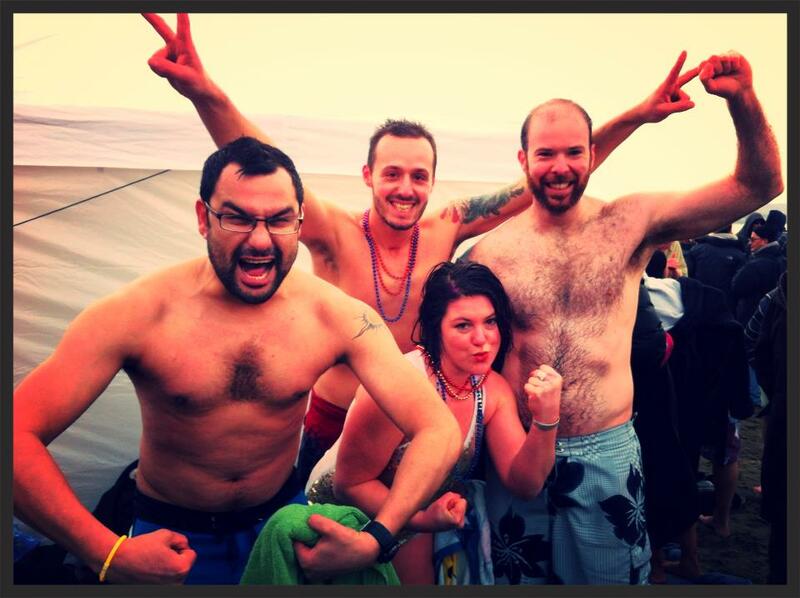 To start off my “merry month” with a bang I did the Polar Bear Swim with my boyfriend James, and my friends Akshay and Ross. Every year I try to bring in someone who has never done it before and this year was no different — they were ALL first-timers! After that I hung out with some good friends in a relaxed environment which is essentially where the idea of this group was conceived. Day 2: A run in the winter sunshine (and then a walk a few hours after). Fresh air always makes me happy! Day 3: Organized/cleaned my entire room and closet. I need to feel organized and in a tidy environment to avoid my thoughts from being cluttered. It definitely relaxes me. Day 4: Started a new creative project in my room (pictures when it’s done), spent over an hour outside in the fresh air, and took care of some overdue business that was nagging at me. Stay tuned as every Friday I’ll post my weekly progress. 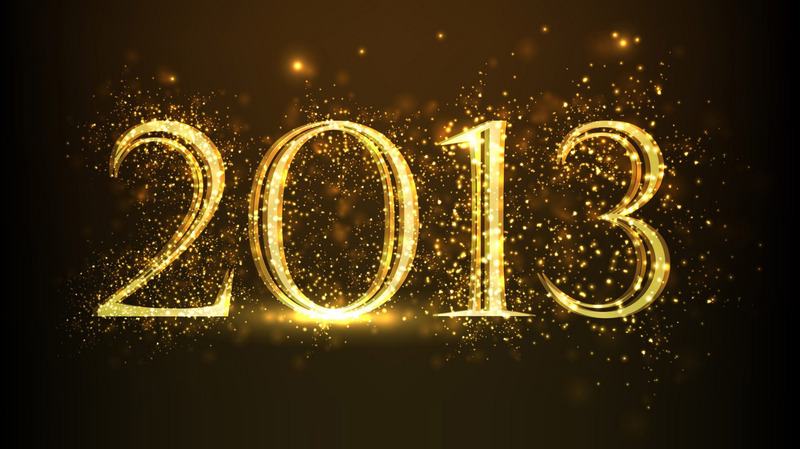 What will the new year hold in store for you? Do you have any goals or aspirations?